Linda Oguto is arguably the queen of Tv at the moment. 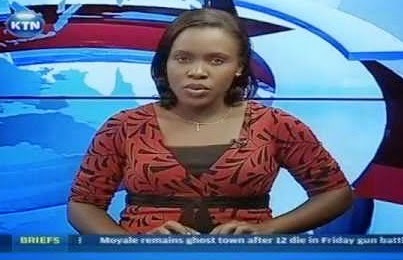 The talented and professional beauty is a news anchor working with KTN. Of late, Linda Ogutu has received criticism after sweat trickled down her armpits as she was presenting the Prime Time bulletin. Robert Alai, a top Kenyan blogger, flickered the debate on Oguto’s sweaty armpits. The controversial blogger marveled whether KTN cannot meet the expense of buying the gorgeous TV anchor some Antiperspirant deodorants so that she can shun the humiliation. Kevin Otieno-Alai umeona Ukweli it’s not the first time. Chris Ouma- Alai have mercy on Linda Ogutu. You have sharp eyes though. Lolest. Sitati Carozon- Mwenye alisema happy mothers day kwa ALai hakukosea...uko na umams kweli.